ESPN's Dana O'Neil writes about Jake Kelly's transfer from Iowa to Indiana State. In the article, people unfamiliar with the situation will come to understand why Jake left, as well as what type of man Coach Lickliter is. 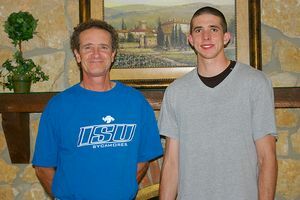 Iowa fans were there Jake when he lost his mother, I would encourage them to support him with the Sycamores, as well. This Hawk fan will be.